Priscillano “Pres” Romanillos, the animator who brought to life the athletic Native American Little Creek in DreamWorks’ “Spirit: Stallion of the Cimarron” and the evil Shan-Yu in Disney’s “Mulan,” has died. He was 47 years old. He died at his home in Tujunga on Saturday, surrounded by his family and friends. The cause of death was complications from leukemia. Romanillos was born Jan. 11, 1963 in the Philippines. When he was six years old, His family moved to Queens, New York City where he grew up. Later he enrolled at the School of Visual Arts in Manhattan, successfully graduating with a Masters Degree in Fine Art. 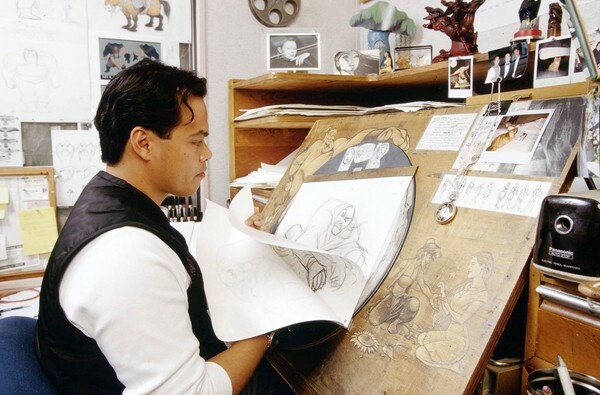 In 1988 Romanillos was hired by Disney Animation, who were at the time actively recruiting animators. He worked on many Disney and Dreamworks films, including The Princess and the Frog (2009), Madagascar (2005), Shrek 2 (2004), Sinbad: Legend of the Seven Seas (2003), The Road to El Dorado (2000), The Hunchback of Notre Dame (1996), Pocahontas (1995), Aladdin (1992), Beauty and the Beast (1991), The Rescuers Down Under (1990), and The Little Mermaid. Romanillos is survived by Jeanine, his wife of 14 years. Plans for a life celebration are pending.